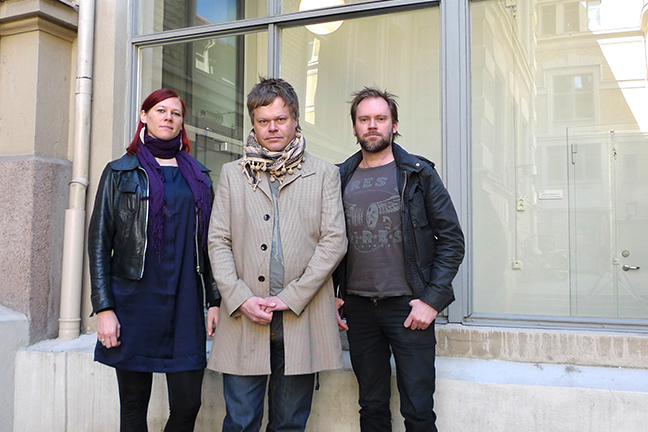 MonoMono was founded in 2004 by composer Lars Carlsson and writer Fredrik Nyberg. Since 2010 cellist My Hellgren is also a member. MonoMono works with text/sound compositions, a Swedish tradition that they develop in different ways in combining text/voice with cello, interactive electronics, light and projections. They have performed at different venues both in the music scene and the poetry scenes in Sweden and abroad. On two separate occasions they have been supported by RANK (Swedish Association of New Music Promoters) for tours in Sweden. In 2013 they were invited to participate in the exhibition Love Explosion at Konsthallen in Gothenburg with the text/sound/video installation Alfabetet undergången. In 2012 MonoMono’s album ADSR was awarded the price ”Nutida Sound” by the Swedish journal Nutida Musik with the motivation “one of the most interesting albums within the innovative music”. During 2014 MonoMono will release their third album.